Come, come, whoever you are . . .
Rumi Canada is known for their strong adherence to the spiritual Sufi / Irfan tradition while exploring new movement vocabulary that reaches deep into the soul of those present. 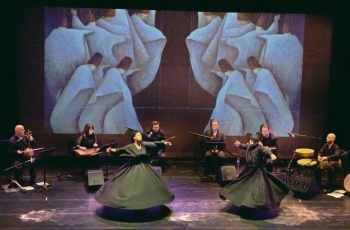 Inspired by M. Rumi and other Sufi mystic & teachers, with the purpose of facilitating the experience of Unity and Love through music, movement & poetry.